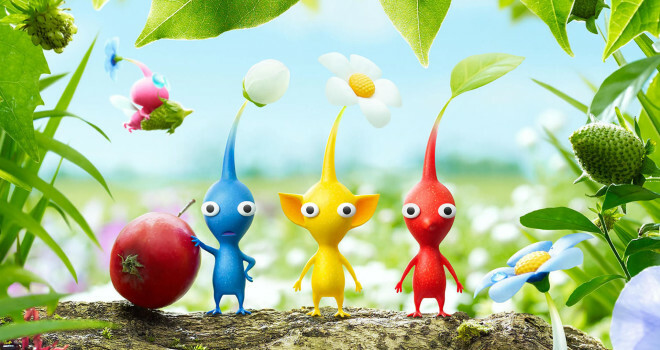 Pikmin 3 posts rather impressive first-month sales in Japan. It is also noted that prior to the launch of Pikmin 3, the Wii U has never exceeded 8,500 sales in a single week. So while this sales increase isn’t an amazing leap, it’s still very impressive how such a low-key Nintendo franchise has managed to do what it accomplished. It may not post Mario numbers, but it’s still a small system-seller regardless. I wrote an article a while back discussion Pikmin 3’s first 2-days sales, but these full-month results are even more impressive. Hopefully Nintendo can see similar success with the game in the western territories. And just like I stated in my previous article, if Pikmin 3 can manage sales like this, then things are really starting to look up for the Wii U with the likes of Sonic, Donkey Kong, and 3D World right around the corner. One small thing Shokio, in the line “the Wii U has never exceeded 8,500 sales in a single week.” you need to add “in the previous four weeks “before” Pikmin 3 launched. The Wii U has exceeded 8,500 units when Dragon Quest came out back in March, and a few other times it got to 9,000 units. Like everyone with a brain has been saying Software pushes hardware, Nobody buys a game console because of the specs they buy it for the games, I’ll be curious to see how Pikmin 3 does in NA judging by the Miiverse community it has sold decently well with people reporting that their gamestops / EB games had sold out but it remains to be seen. Shokio, you might as well say that this was for BlackB0nd.